That wasn't too long of a wait was it? 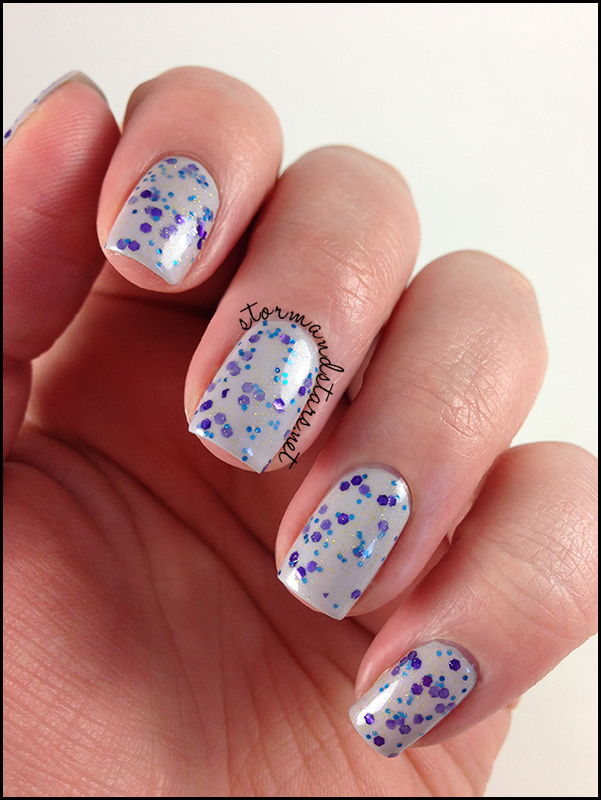 I have some lovely polish for you today! 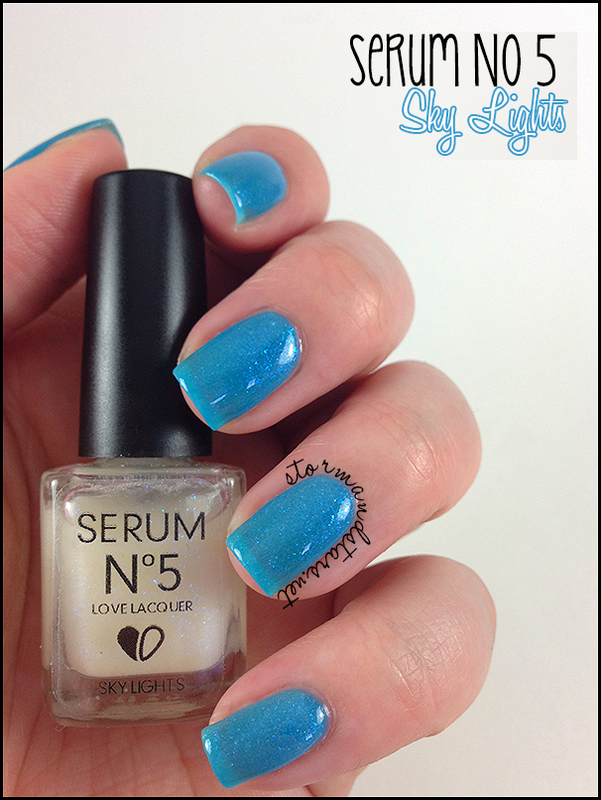 I posted 3 of the Serum No 5 lacquers I was sent for review a while back, and I am back today with the other 3. Wanna see more? Click below. 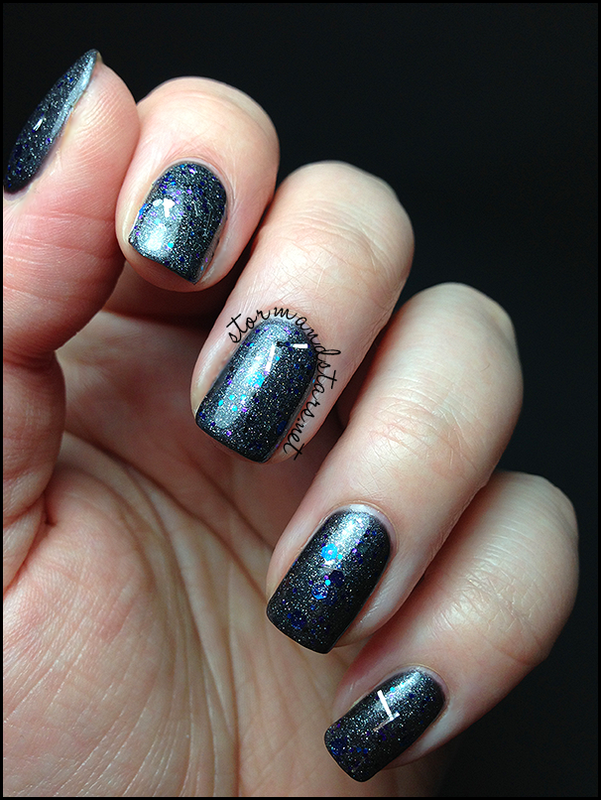 I started with two coats of Wet n' Wild Megalast in Venomous Vixen and then added two coats of Stormy Weather. I topped the whole thing with a coat of SV. I loooooooooooove this so much. I wish I could really have captured the sparkle in this polish but it is one of those lacquers that really needs to be seen to get the full effect. Next in the lineup tonight is another stunner Shrinking Violet. Ahhhhhhhhhhh!! I love this one too. I had a really hard time choosing a favorite between the two of these! Do you want to see what I have last for you? Are you sure? Well ok. Last but certainly not least I have Sky Lights. 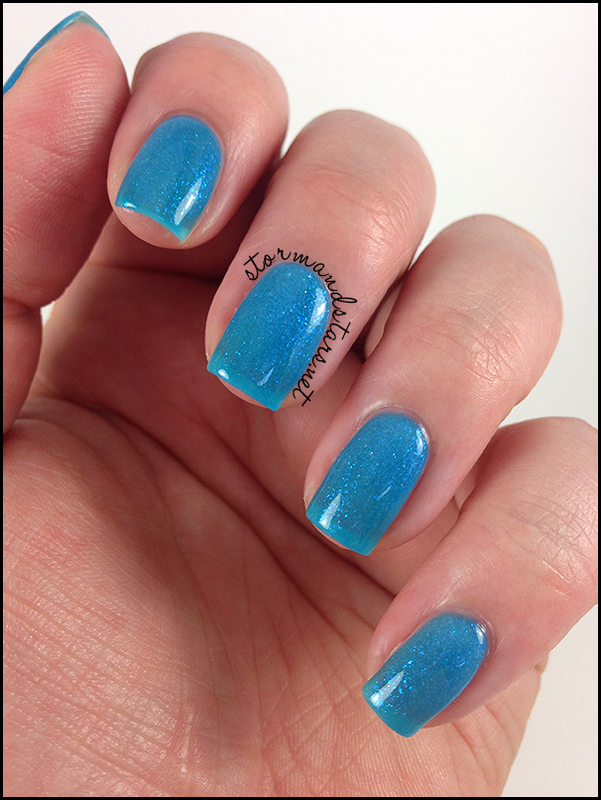 See that blue shimmer? That is Sky Lights. 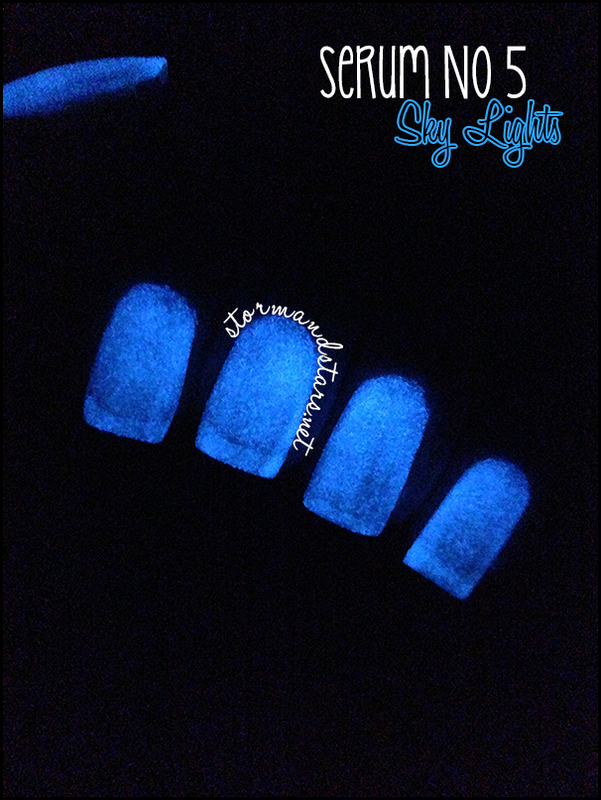 It is a blue shimmering glow in the dark topcoat that honestly... looks good over everything. You could even put this baby over nail art to make it glow. I started out with a ridiculous amount of coats of China Glaze Isle See You Later. I think it was 5, but I really lost count. Anyways... I added two coats of Sky Lights on top and then a coat of SV to finish it off. Follow them on Facebook and on Instagram @serumno5 for news and info! Did you enjoy these? I hope so because I absolutely LOVED them! Which was your favorite? 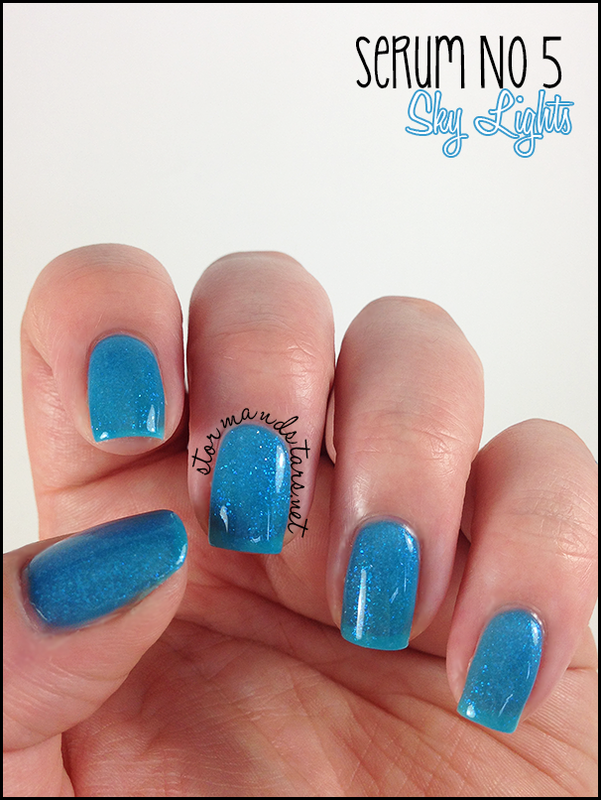 Do you have any glow polish and if so, what do you think? collections of instrument to measure wind speed, for a weather station many gadgets are required for collecting data to forecasting weather report. The gadget should be collected from a renowned web stationery store for the gadgets gumminess to forecast an accurate weather reporting.